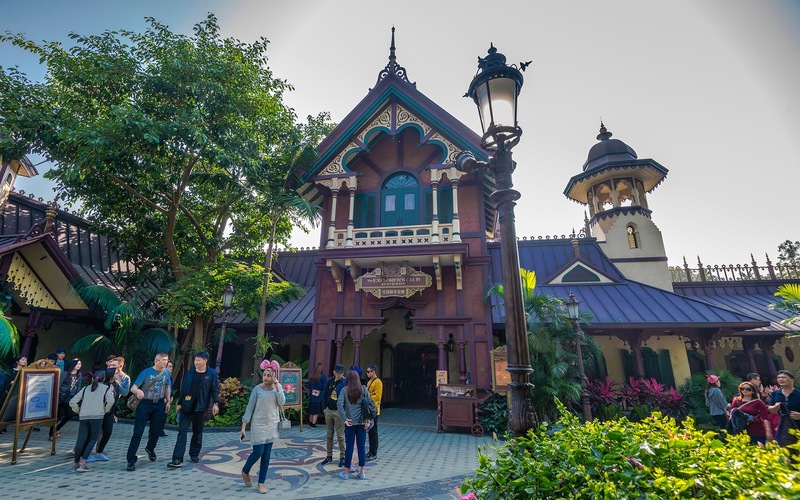 Located next to the gift shop of Mystic Manor, Hong Kong Disneyland's Explorer's Club might look like an exclusive attraction at first. But wander inside, and one realizes that it's just a really fancy looking quick serve restaurant offering some delicious Asian cuisine. 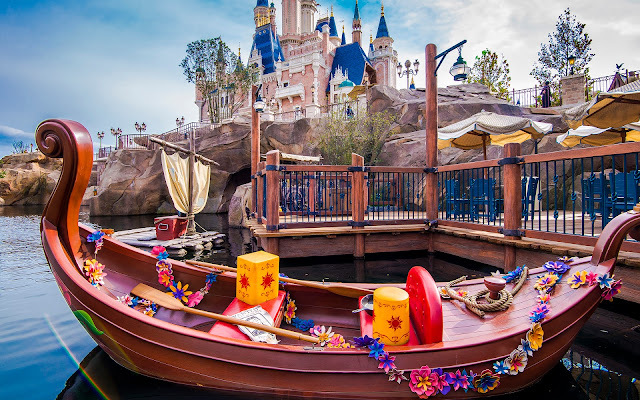 I discovered this the second time I visited Hong Kong Disneyland, in 2016. 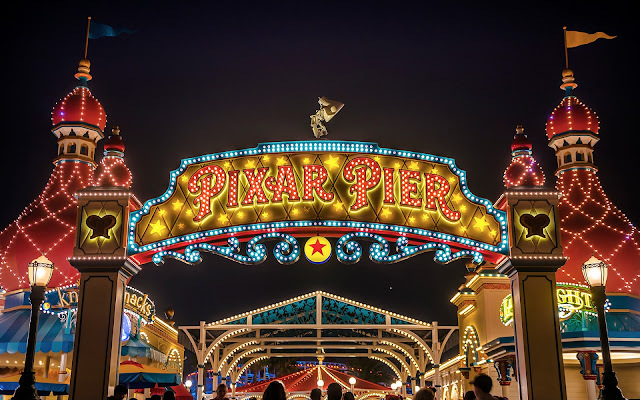 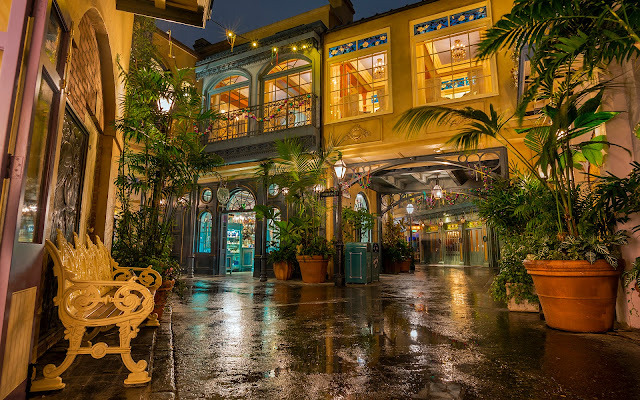 The previous year, I had dismissed the place as a reservation-only sitdown or a Club 33 type of establishment, only to realize that I had been sorely wrong. 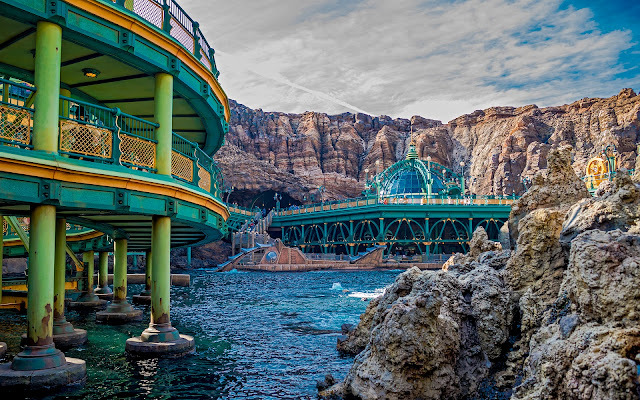 I made sure to dine there on my return trip, and it ended up being one of my favorite eateries in the park! 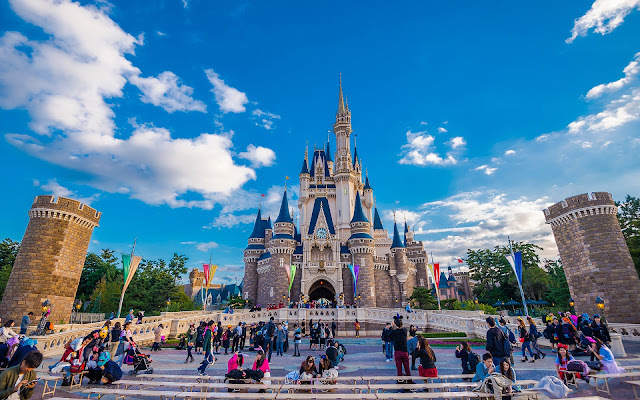 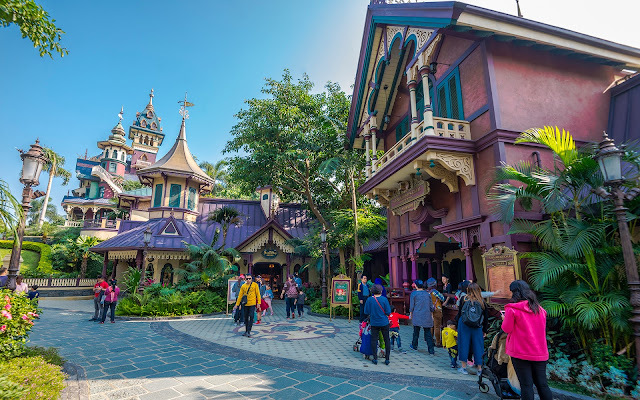 Plus, the theming of the facade is whimiscal and fantastical, and in line with its storyline associated with the Society of Explorers and Adventurers! Mystic Manor looms in the distance beyond the Explorer's Club.